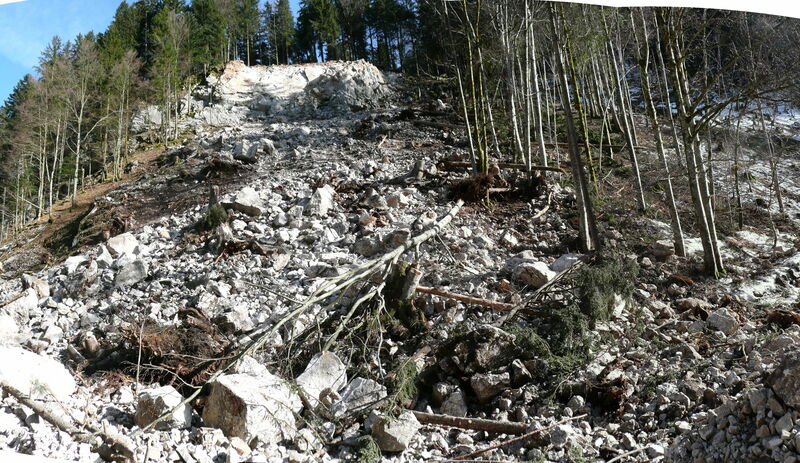 On 14 January 2011 there was a rockslide at the “Hirschsprung” cleft near my home village of Obermaiselstein. I happened to visit Obermaiselstein a few weeks ago and had a look at it. These are some photos from 06.02.2011. Rockslide at Hirschsprung cleft, Obermaiselstein, 2011. View from base of slope. 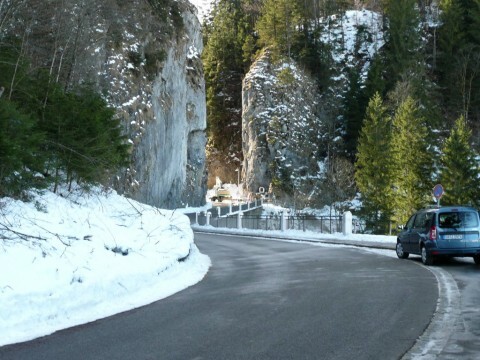 Rockslide at Hirschsprung cleft, Obermaiselstein, 2011. View from north (sorry, bad exposure because of low sun). Hirschsprung cleft, Obermaiselstein, approaching from North. 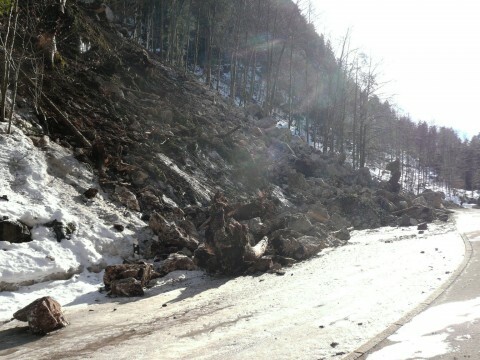 The rockslide is behind the opening and not yet in sight. I've written a bit about it in German; if you're interested in a translation, please tell me so.